Product Consists : Bouquet of 30 Red and White Carnation and Roses with some filliers and 1 Kg Plum Cake along with 2 Long Candles. On this Christmas take this gift combo with you when you go to visit your dear ones. 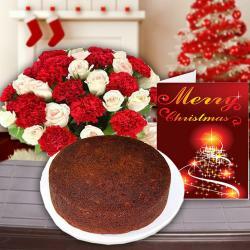 This gift combo includes one flower bouquet of ten red carnations and fifteen white roses, two candles and a plum Cake. Its a nice gift hamper to given to anyone. Flowers are considered as the best medium to show your affection towards anyone. You can gift this special combo to your wife as it will elate her completely from her core. Along with candles and delicious plum Cake this gift combo is perfect for Christmas gifting. 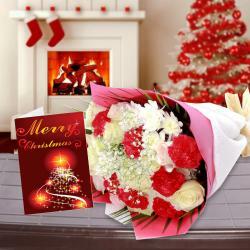 Send this gift hamper to your dear ones and let them feel special on this Christmas. 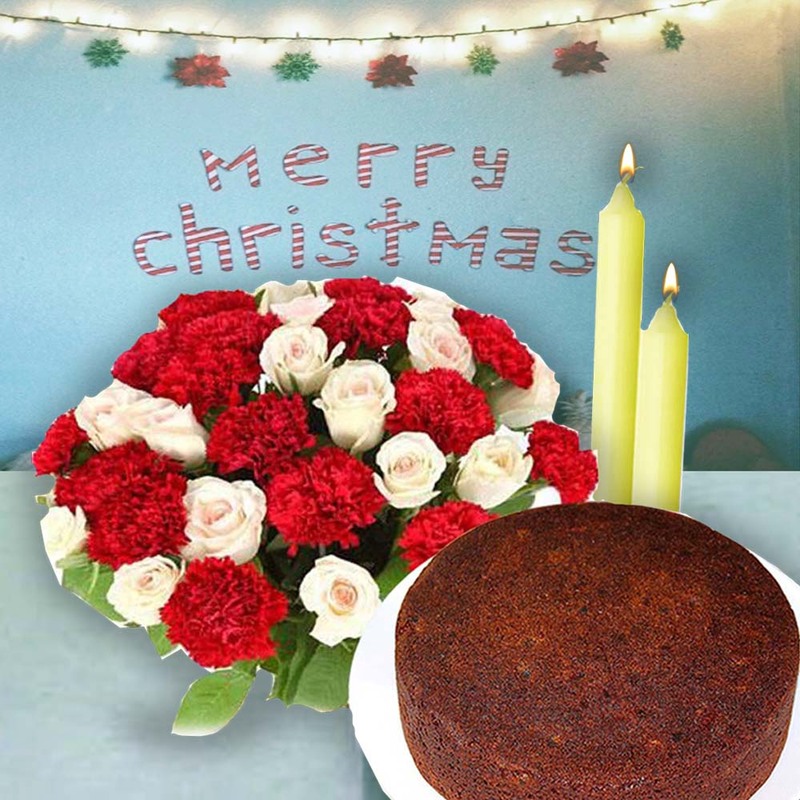 Product Consists : Bouquet of 30 Red and White Carnation and Roses with some filliers and 1 Kg Plum Cake along with 2 Long Candles.